I was born and raised in New York City to a Thai immigrant family. I, with my wife and three sons, currently call Bangkok, Thailand home. I moved to Bangkok to serve God and to serve the people of this great city. I have a passion for culture, community, discipleship and the church. We just started a new church called Grace Community Church, serving a community of young professionals and young families. 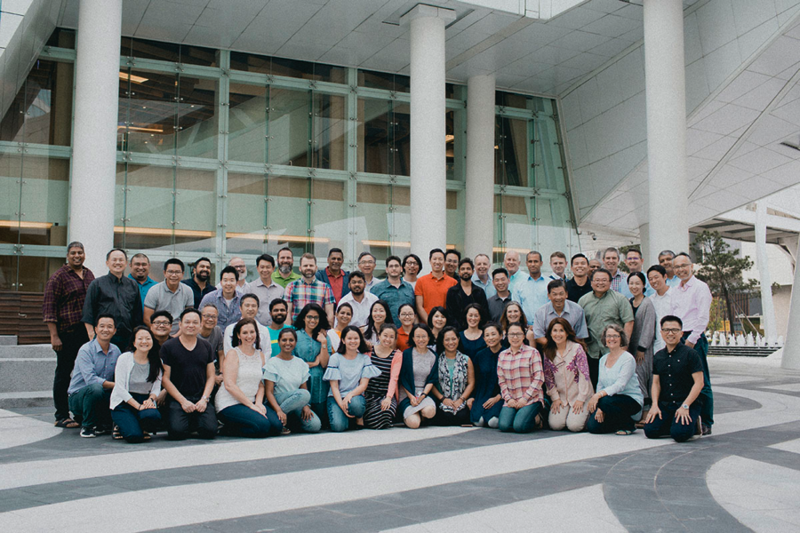 This past May I was very fortunate to attend the City to City Asia Pacific International Intensive, a two-week training including folks who have started or are in the process of starting new churches. We came from all over the region to the city of Taipei, representing two continents, seven countries and twelve cities for one reason: to learn how to start gospel-centered churches in urban contexts. The Intensive was a deep dive into discovering the intricacies and beauty of how the gospel should affect our doing, thinking and being. Everything. Several key concepts from the training really struck me. First, the gospel is more than just head knowledge. It is truth meant to be experienced continually in deeper and richer ways both personally and in our ministry. The trainers shared their stories, experiences and struggles to move us to see why the gospel is so critical, helping us see how the gospel should renew us and transform us. I also was struck by the continual need to meditate and grow in the promises of the gospel and in my identity in Christ. Only in Christ am I righteous, am I strong, am I valued, am I accepted above and beyond my own actions, successes or circumstances. One of the most important and difficult sessions of the two weeks covered how we are called to works of mercy and justice. Is our church motivated at its core to be a voice for and helper of the marginalized, homeless, oppressed and powerless? Discussing this topic with our trainer made me realize how little I have considered the complexities my church will face in the city. Yet the gospel compels the church, compels me, to find ways to love, serve and befriend those with fewer opportunities. Participating in the Intensive was an immensely helpful and insightful experience. It was an opportunity to recheck my vision and values in serving the city of Bangkok. It provided best practices to consider as we begin leading our new church. It was also an honor to be part of a growing community of church planters, sharing life, joys, fears, struggles and dreams with one another. I am thankful for seeing God at work in the Asia Pacific region and hopeful to see many more church planters trained and many more churches started through the City to City network. Rawee moved with his family to Bangkok in 2013, feeling called to preach the gospel in his parent’s homeland. He and Nui, his wife, planted Grace Community Church. They launched in August 2017. Formed for Justice Conference Nov 16-17: What does the Lord require of you?